When I first heard of this book in the spring of last year, I thought it sounded wonderful and have wanted to read it ever since, especially after seeing it show up a lot on end of the year reading lists. 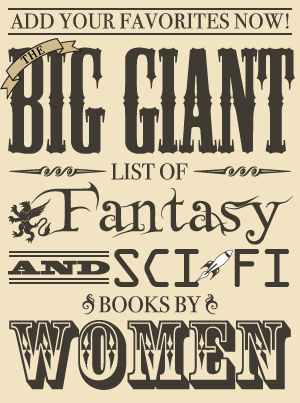 I’m not much of an ebook reader, but I couldn’t resist purchasing the ebook when it was really cheap a few days ago. 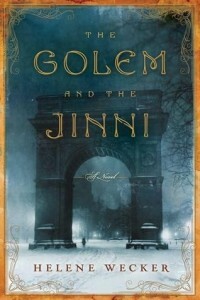 The Golem and the Jinni is available in hardcover, paperback, ebook, and audiobook. The author’s website contains a lot of information on the book, including an excerpt. I didn’t exactly buy this short story since it is free but I read it so I’m including it. 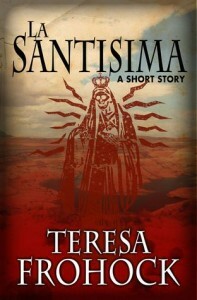 “La Santisima” can be read on the author’s website or downloaded from Smashwords. I loved Teresa Frohock’s debut novel Miserere so I of course had to read this story after I found out about it. It’s very well-crafted, and despite its short length, I had a good sense of the characters. It also has some lovely prose and a lot of emotional impact. Sebastian’s friend Carlos claims that La Santa Muerte watches over the poor, the ones that the Church abandons. He promises Sebastian that La Santa Muerte will be his patron saint, that she will protect him and grant his wishes. Death comes for us all. Keep her as your friend. This is one of my most anticipated books of 2014 because I loved Rachel Neumeier’s last published book, House of Shadows. 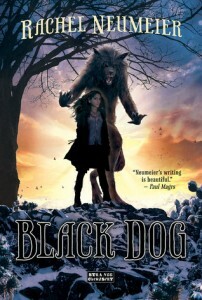 Black Dog, the first book in a duology, will be released on February 4 (paperback, ebook). You can read or download an extract on the author’s website. This debut will be released on February 11 (hardcover, ebook). 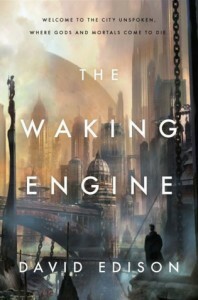 An excerpt from The Waking Engine is available on Tor.com. 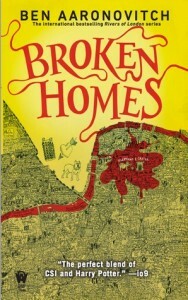 Broken Homes was released in the UK last year, and it will be released in the US on February 4 (mass market paperback, ebook). An excerpt is available on the publisher’s website. My name is Peter Grant, and I am a keeper of the secret flame — whatever that is. Truth be told, there’s a lot I still don’t know. My superior Nightingale, previously the last of England’s wizardly governmental force, is trying to teach me proper schooling for a magician’s apprentice. But even he doesn’t have all the answers. Mostly I’m just a constable sworn to enforce the Queen’s Peace, with the occasional help from some unusual friends and a well-placed fire blast. With the new year, I have three main objectives, a) pass the detective exam so I can officially become a DC, b) work out what the hell my relationship with Lesley Mai, an old friend from the force and now fellow apprentice, is supposed to be, and most importantly, c) get through the year without destroying a major landmark. A mutilated body in Crawley means another murderer is on the loose. The prime suspect is one Robert Weil, who may either be a common serial killer or an associate of the twisted magician known as the Faceless Man — a man whose previous encounters I’ve barely survived. I’ve also got a case about a town planner going under a tube train and another about a stolen grimoire. But then I get word of something very odd happening in Elephant and Castle, on a housing estate designed by a nutter, built by charlatans, and inhabited by the truly desperate. If there’s a connection to the Crawley case, I’ll be entering some tricky waters of juristiction with the local river spirits. We have a prickly history, to say the least.